Most people (even strangers!) 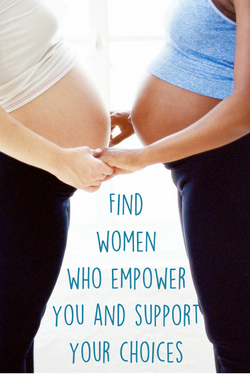 give pregnancy advice or share stories out of genuine friendship, or simply to make conversation. If a story or piece of advice makes you anxious, thank the person for their concern and change the subject. If you feel there is something to learn from a story, ask for more details and compare it to your own values and knowledge before deciding to let it influence you. Pregnancy can feel isolating, especially if you do not have other friends or acquaintances who are expecting a new baby at the same time. Parents going through an adoption may feel detached if other friends have not been through the adoption process. 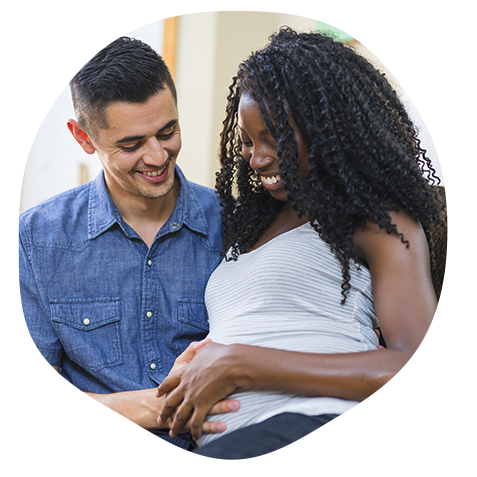 Feel supported in your decisions by connecting with other expecting parents who share your values. You will learn and grow through your shared experiences. The friendships you develop now may continue beyond birth, offering support after the baby is born and throughout parenting. Other expecting parents may share your experiences and concerns, and may understand what you are going through now. Take a childbirth class taught by a Lamaze certified educator, someone you can trust. You’ll learn about having a baby and can expect to meet other parents at a similar place in pregnancy. In addition to sharing insights and collective wisdom, you may create valuable friendships. Attend a local La Leche League (or other breastfeeding support group) meeting. You’ll meet other nursing mamas and you’ll gain insight and support for breastfeeding. Take a prenatal exercise or yoga class. In addition to meeting others, you’ll gain an endorphin boost with exercise geared toward your pregnancy! Talk with your midwife or doctor. Some providers host informal gatherings for clients to meet. Check your local bookstore, library or place of religious practice for a book discussion group. You may or may not meet other pregnant women there, but you can expect to be surrounded by other mothers. Online support can supplement in-person relationships. If you have trouble finding others you can relate to in your community, don’t hesitate to build these online friendships and support systems. Connecting with friends who are already parents can be valuable, too. They bring personal experience, and can give you a sense of what is to come. Each person has a different gift to bring to the relationship. Find others who empower you and support your choices, people who offer helpful perspectives instead of "war stories." Above all, these friendships should build your confidence in yourself and in birth.